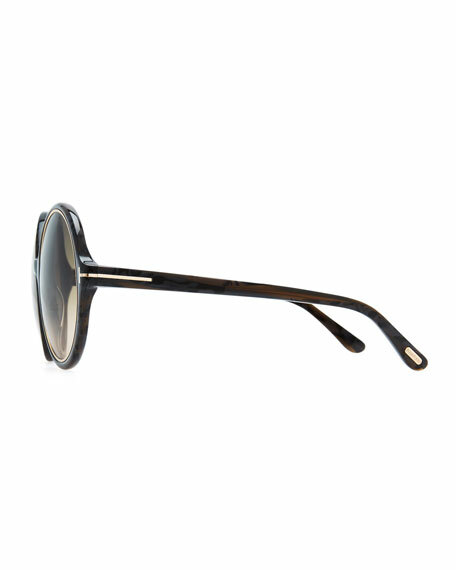 Tom Ford sunglasses use clean, innovative lines for subtle hints at high-fashion design. 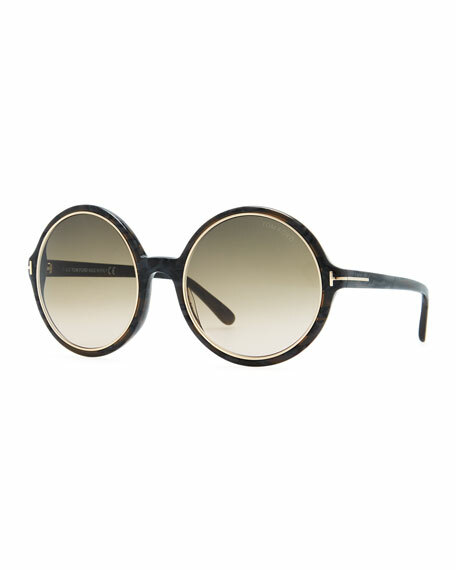 An oversized shape and sleek metal-trimmed acetate frames are just the thing that will have people wondering who the chic passerby is. 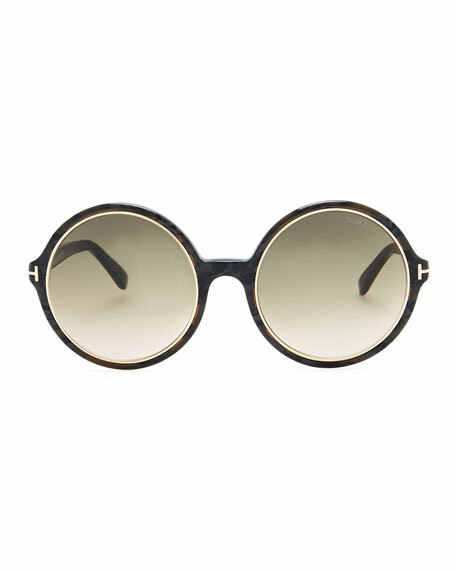 Tom Ford T logo on temples. For in-store inquiries, use sku #276091.